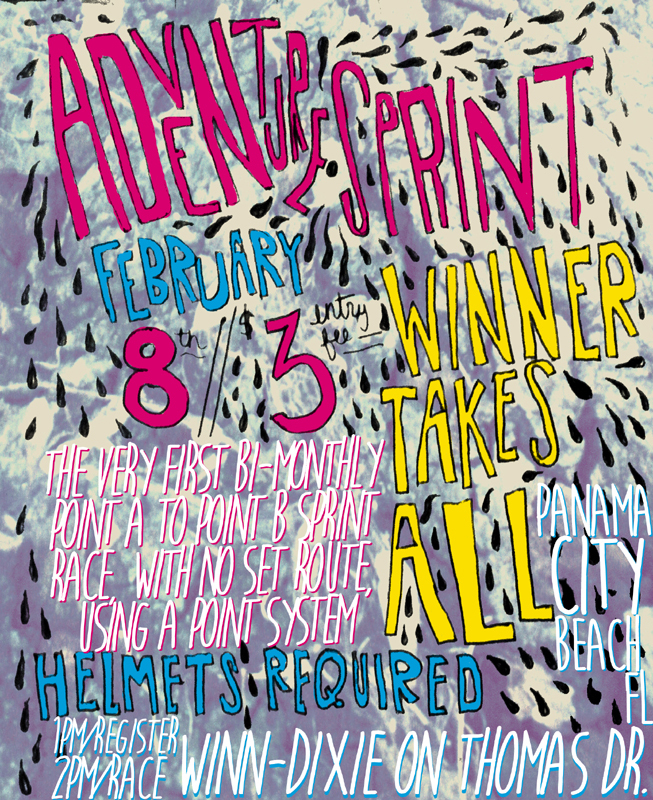 The homie Andrew sent over this flyer for his upcoming race in Panama City. If you are tired of winter catch a cheap flight and spend Feb 8 racing and chilling on the beach. It will be a point to point all out sprint. Should be tons of fun!